I'm a little torn. Do I post about the wee men on swings earrings? 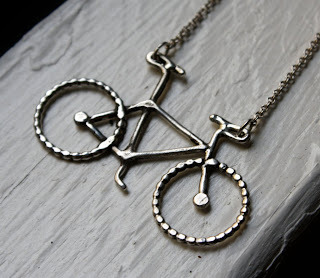 Or le petit bike necklace? Or maybe the sweets for the sweet necklace? Hell, just browse the whole damn shop. Announcing the Big Gay Ice Cream Shop! Inspiration Dior: Fancy a Jaunt to Russia?